Starting from today, clpromoters will be conducting an online interview with all registered models and all executives of NFH. This interviews is conducted as part of the build up for the NFH Anniversary Gala Night coming up on August 21st-26th. The first Model of NFH we interviewed by was Miss Lawal FadeFemi..
Ans:- Modelling is the art of using a person known as a model to display and advertise products of different types and also to showcase work of art. What are your goal or aim as a model? Ans:- My goal as a model is to be a top model promoting fashion the best way I can in every way possible, and to show the world that fashion is everything. Is modeling a profession that you will advise young people to be involved in? Ans:- Yes. Contrary to what most people think, Modelling is not just a profession where you makeup, put on a nice dress and take pictures. It's way more than that. It involves a lot of practice, confidence and character as being a model automatically renders you as a public figure. Modelling helps to build confidence level and improve on how you relate to other people. So yes, I would definitely advise young people to be involved in modelling as it has a great positive impact in the society. What you intend doing to influence young mind as a model? Ans:- Like I said earlier, I would want to promote fashion every way I can to inspire young people and be a good example and role model. I intend to create more awareness about modelling and what it really means and that involves enlightening people and changing their definition of being a model. It would be a great honour having young minds aspiring to be like me. How do you feel being a model? Ans:- I feel happy that I have found a path to success in modelling aside school. Being a model gives me great joy to know that I am being recognised as a fashion promoter to display and showcase people's work and designs. I would not say I am totally fulfilled yet as I have not reached the peak but with time and hard work, I will get there. Are you aware of the upcoming NFH gala Anniversary? If so, are you one of the contesting Models? Ans:- Yes I am aware of the NFh gala anniversary coming up in August. 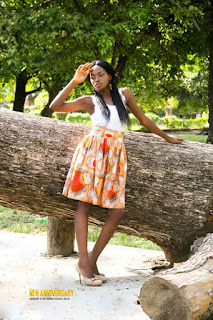 I am a registered model under Naija Fashion Home and I am also a contesting model. What are Your expectations for the upcoming NFH gala Anniversary? Ans:- The NFH anniversary gala night would be in August this year and it promises to be a fantastic event. There would be a pageantry for the Nigerian Fashion king and queen with fantastic prizes to be won. There would also be a runway exhibition and an awards night to appreciate models and influential people in the society. This gala night would be greater than anyone's expectations. I can assure that. If you are opportune to win the first prize as a Queen, what will you do with the cash that will be giving to you? 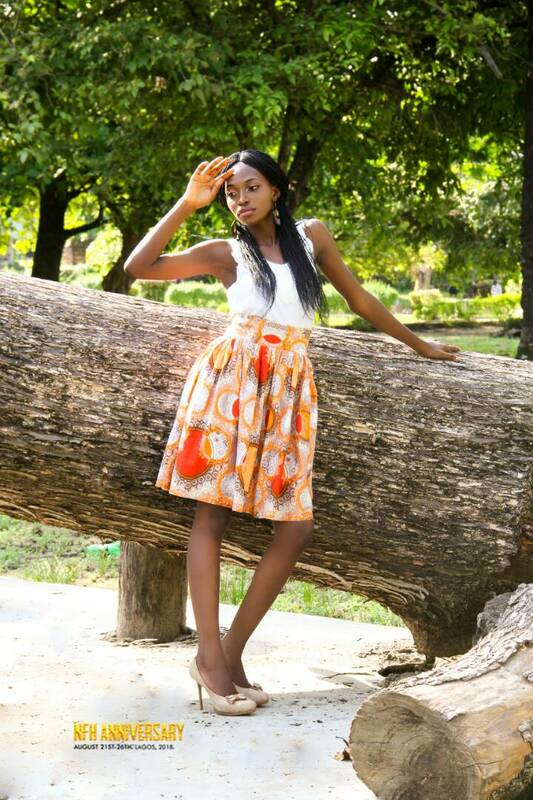 Ans:- First, being a Queen means being a ambassador and an excellent representative of Naija Fashion Home in general. The cash prize would be solely focused on achieving that and doing a wonderful job too. I would organise empowerment programmes, awareness and also giving back to the public through charity events. Lastly, What are your advice to Upcoming models and audience who are viewing this interview? Ans:- To upcoming models, I will advise you not to give up on your dreams. Just because your former agency didn't have any impact on your career doesn't mean it's the end for you. Also, as an upcoming model, don't be greedy looking for fast jobs. First build yourself as a model and be able to stand with confidence. Modelling is about passion not money. 0 Response to "Journey To NFH Anniversary Gala Night With Miss Lawal FadeFemi(Modeling As A Profession)"